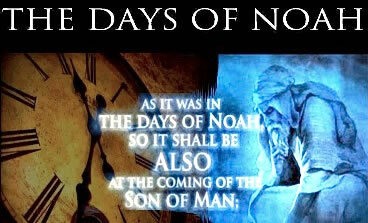 In the new Hollywood blockbuster “Noah”, the Creator of this world is portrayed as an evil homicidal maniac that utterly hates humanity, and the Serpent is portrayed as the one holding the secret that will restore the “divine spark” to humanity. Unfortunately, most Christians (even those that have reviewed this film negatively) have totally missed the Luciferian Gnostic themes that are being openly promoted by this film. 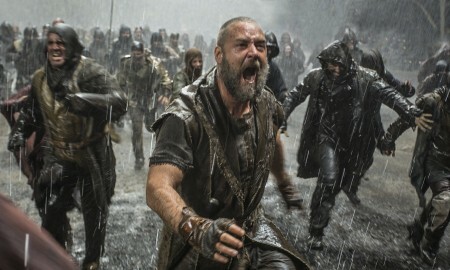 I have previously written about how “Noah” turns the fallen angels into good guys that actually help Noah build the Ark, but the occult themes in this movie go much deeper than that. Director Darren Aronofsky has expertly woven elements of Luciferianism, Gnosticism and even from the Kabbalah throughout the film. Over the years, hundreds of millions of people all over the world that watch this movie will be exposed to the Luciferian gospel without even realizing it. The action opens when Lamech is about to bless his son, Noah. Lamech, rather strangely for a patriarch of a family that follows God, takes out a sacred relic, the skin of the serpent from the Garden of Eden. He wraps it around his arm, stretches out his hand to touch his son—except, just then, a band of marauders interrupts them and the ceremony isn’t completed. Lamech gets killed, and the “villain” of the film, Tubal-Cain, steals the snakeskin. Noah, in other words, doesn’t get whatever benefit the serpent’s skin was to bestow.